Have you seen the map of the Bali Island? Which island is separated from the main island of Bali? What island is there apart from the main island in Bali? Are you not sure that the island is also a tourist attraction? Exactly, the small island located beside the main island of Bali is Nusa Lembongan, Nusa Ceningan and Nusa Penida. 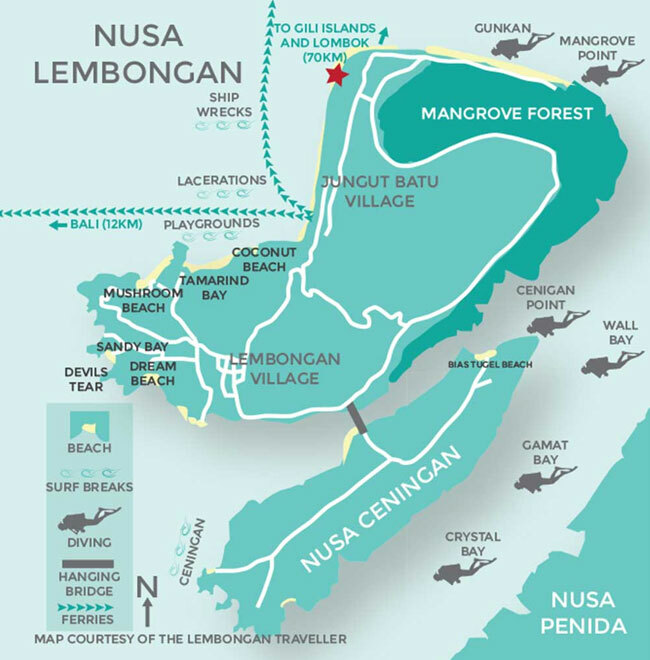 If viewed from the entire map of Bali, will see three islands such as the island of Bali island where Nusa Lembongan is smaller than Nusa Penida and larger than Nusa Ceningan. Almost every inch of the region in bali is a beautiful tourist attraction. Proven in this small island, is a beach tourism is very fascinating and not less with beach tourism in Menjangan Island. Unfortunately, unlike other tours in Bali, before getting to the tourist attractions of Nusa Lembongan, we have to pass through the sea with quite a distance of about 45 minutes. But when you reach the destination, it will pay off when you see the beauty of the sea in Nusa Lembongan. Lembongan Island has a length of 4.6 km and width of 1-1.5 km is located about 11 km southeast of Bali. Administratively, this island belongs to Klungkung Regency, Bali, Indonesia. To get to Lembongan Island location, you have to cross with the help of ships that are definitely waiting for you to cross to Nusa Lembongan. A lot of tourists who will visit Nusa Lembongan during the holidays. The rates for crossing by fast boat or speed boat to Nusa Lembongan for foreign tourists is charged around IDR 550.000. Distance of about 11 Kilometers with travel time about 45 minutes. In a moment of sailing, then you will be able to see the view of Nusa Lembongan. Usually the main tourist destination outside to come to Nusa Lembongan is to do surfing, diving and snorkeling activities. How not, on one side of the island is famous for its waves that fit for surfing activities. And also with the beauty under the sea, beautiful fish that decorate the ocean can be found by doing snorkeling and diving activities. There will be many rental services of snorkeling, diving and surfing facilities on Lembongan island. But if you already enjoy a holiday on the beach Nusa Lembongan, it's good you start the adventure with a tour around the island of Nusa Lembongan. Not to take more than one day, one day is enough to enjoy the entire tourist attraction on the island of Nusa Lembongan by renting a motorcycle, which is widely available there or you can book the Full Day Lembongan Trip on our website. 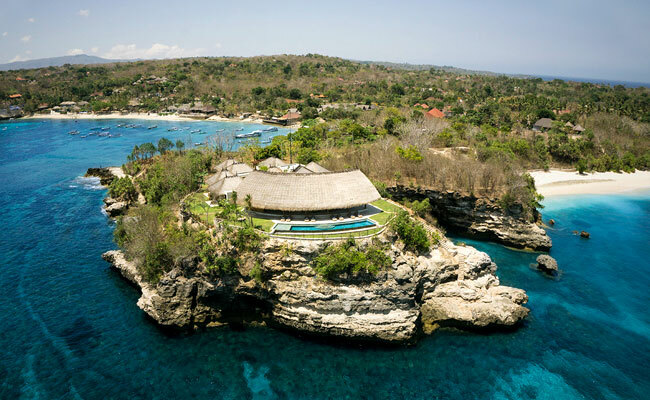 Tips for those of you who will vacation to Nusa Lembongan, it helps you bring cash rather than carrying an ATM card. Because in this island is only available one outlet that must already crowded by foreign tourists.